I didn't think I was going to have anything for IMM this week, but I came home from the Anderson's YA Lit Conference late Saturday night to find two books on my doorstep! In My Mailbox is a weekly meme hosted by Kristi at The Story Siren. Head on over there to find out what delightful books bloggers received in the mail, purchased, or checked out from the library this week! 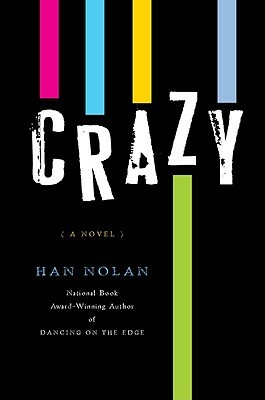 Crazy by Han Nolan (Harcourt Children's Books, September 2010). Fifteen-year-old Jason has fallen upon bad times - his mother has died and his father has succumbed to mental illness. As he tries to hold his crazy father and their crumbling home together, Jason relies on a host of imaginary friends for guidance as he stumbles along, trying not to draw attention to his father's deteriorating condition. I like things that are heartbreaking and funny, so I'm happy to take a look at this one! 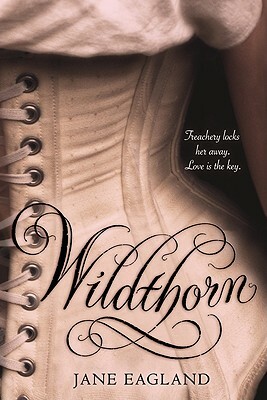 Wildthorn by Jane Eagland (Houghton Mifflin Books for Children, September 2010). They strip her naked, of everything—undo her whalebone corset, hook by hook. Locked away in Wildthorn Hall—a madhouse—they take her identity. She is now called Lucy Childs. She has no one; she has nothing. But, she is still seventeen—still Louisa Cosgrove, isn't she? Who has done this unthinkable deed? Louisa must free herself, in more ways than one, and muster up the courage to be her true self, all the while solving her own twisted mystery and falling into an unconventional love . . . Originally published in the UK, this well-paced, provocative romance pushes on boundaries—both literal and figurative—and, do beware: it will bind you, too. I love the premise - very intriguing - and the cover. So, that's my mailbox. How about you? Tell me one book that you got in the mail, bought, or checked out this week that you are most excited about! A Cybils Announcement for Nonfiction Monday!